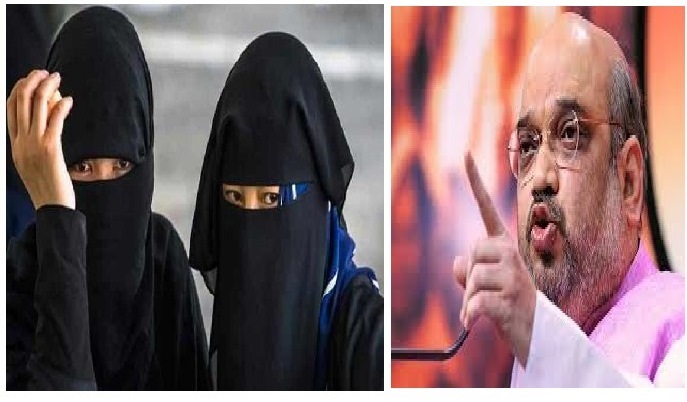 Addressing a rally in eastern Uttar Pradesh in Sonbhadra, BJP President Amit Shah slammed the SP, the BSP and the Congress over the triple talaq issue: “triple talaq ke saath aap hain ya nahin hain (are you with or against the triple talaq)?” With the UP Assembly Elections just a few months to go, the “justice” for Muslim women has prominently figured in the speeches of BJP’s leaders from Amit Shah to Prime Minister Modi. By invoking the issue of triple talaq, the Hindutva leaders have targeted the opposition parties over their “vote-bank politics” and policy of Muslim “appeasement”. By such an exercise, the BJP and the RSS hope to make public opinions in favour of the controversial Uniform Civil Code (UCC). The Saffron outfits are hopeful that by invoking the issue of “oppression” of Muslim women, they would be able to polarise voters on religious ground ahead of the upcoming UP Assembly Elections. This has to do with the controversy surrounding the UCC. When it was first debated in the Constituent Assembly, no agreement was reached and it was deferred by putting it under the Directive Principle of State of the Indian Constitution. Unlike the Fundamental Rights of the Constitution, the Directive Principals of State Policy are simply the guidelines or principles given to the governments. They are not enforceable in the court until they are made a law. The Article 44 of the Directive Principal of State Policy, thus, asked the State “to endeavour to secure for citizens a Uniform Civil Code throughout the territory of India”. Unlike the stand of the BJP, its opponents strongly contend that the imposition of the UCC would violate religious freedom that gives each religious community the right to be governed by their own personal laws in matters of marriage, divorce, succession etc. The BJP was perhaps the first mainstream party to grab this issue and mention it in its electoral manifesto that it would implement it, if voted to power. Till now the BJP has come to power in the Centre for four times but it has not been able to fulfill its promise. Meanwhile, the saffron party has not missed any opportunity to criticise many of the religious and cultural practices of minorities, particularly Muslims and threatened them about abolishing their personal laws by the enactment of the UCC. By such an act, it not only consolidates its Hindutva supporters but also strengthens the Islamophobic discourse. The aggressive approach of Vaidya is in a sharp contrast to the values of the Indian Constitution such as political and religious freedoms. Since diversity is one of the key features of the Indian society, any attempt to impose a particular culture or religion on people may trigger troubles. Even the colonial British Government did not dare to deprive the subject population of their personal laws as now advocated by Vaidya. Contrary to Babasaheb’s suggestions, the Hindutva forces are threatening Muslims and other minorities either to accept the UCC or to be ready to lose their right to vote. 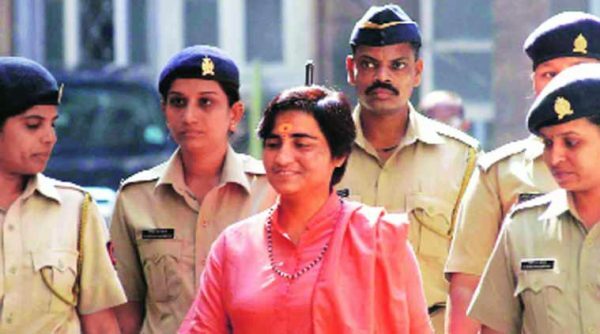 One should bear in mind that when Babasaheb Ambedkar brought the Hindu Code Bill that aimed at freeing Hindu women from unequal practices, the same Hindutva forces were at the forefront of opposing the Bill, calling it as an atom bomb on the Hindu community. For example, in the year of 1949 the RSS alone held 79 meetings to mobilise people against the Hindu Code Bill. Before I close, let me state that the triple talaq, as argued by many Islamic scholars, is not a proper Islamic way of giving divorce. Unlike the stereotype that Muslims are a homogeneous community, the fact remains that they, like any other religious community, are divided among different sects (maslak) and schools (maktab). As a result, the views of the Muslim community over triple talaq are not one. Unlike Hanafi Muslims including Deobandis and Barelvis, those belonging to Ahl-e-Hadis and Shia do not subscribe to the practice of triple talaq. A recent conference held in Ajmer last month deserves to be mentioned in which Jamiat-e-Ulema Hind, an organisation of Deobandi Muslims, called the practice of the triple talaq as “un-Islamic”, triggering a debate. Tauquir Raza Khan, the religious leader of the Barelvi Muslims, was also present in the Ajmer Conference. Many believe that holding such meetings is part of the ongoing efforts of the Muslim community to arrive at a solution to the issue. 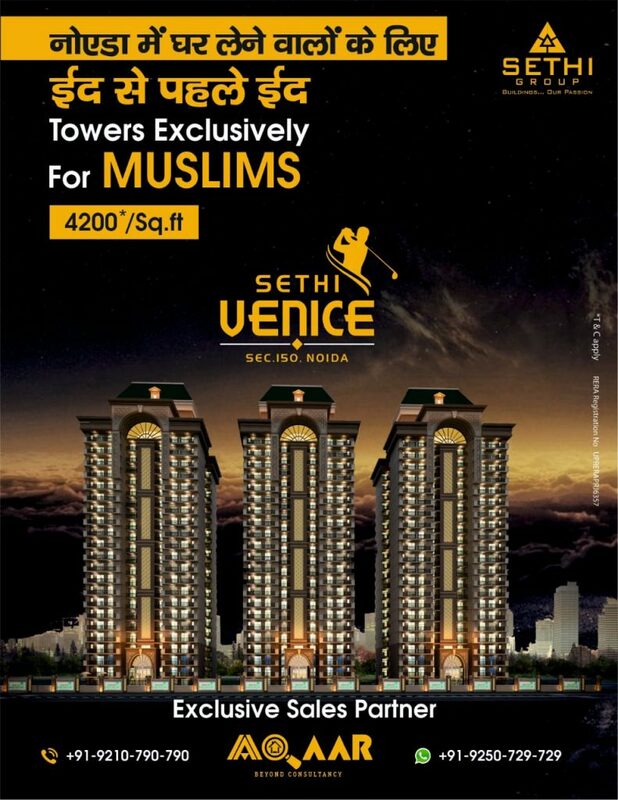 If the Hindutva forces refrain from politicising and communalising the issue, it may be easier for the Muslim community to find a way out. If Muslims want 4 wives and instant male only authority to replace anyone in a aecond then muslim must agree to islamic sentenceing laws of flogging and limb chooping. BJP IS MEANT TO SERVE THE PURPOSE OF PSUEDO HINDUS ,IT HAS NOTHING TO DO WITH INDIAN .. There are more contentious issues in Indian society related to women than triple talaq. The country aspiring for ‘Digital India’ every 10 minutes one women subject to sexual abuse.2011 study found that 12 million Indian female fetuses had been aborted in the past 30 years. A similarly jarring U.N. report found that there was an average of 7,000 girls killed in the womb or soon after birth every day in India. As per data from National Crime Records Bureau (NCRB), the number of registered human trafficking cases has increased by 38.3% over five years from 2,848 in 2009 to 3,940 in 2013. The conviction rate for such cases has declined 45%, from 1,279 in 2009 to 702 in 2013. Also gender discrimination is still rampant in India. The party focus should be ‘women empowerment’,health,education,employment. The need of the hour is ‘uniform civil rights’ rather than ‘uniform civil code’.